Magnum Force is my latest map release. 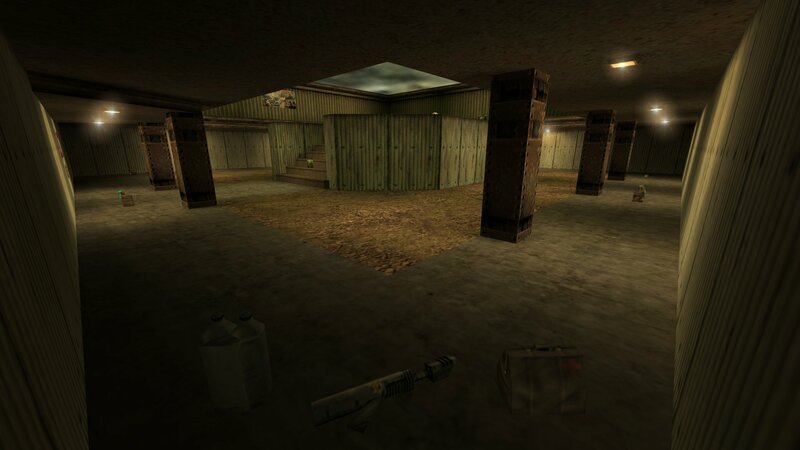 This one is a small, arena style, two level, death match map that is a remake of an old Cujo map dm_1v1biguns. I just found Cujo's old map and thought it looked like a fun little map. But it only had four player spawns and it had a visual error plus some other minor issues. So I did a remake and added seven more spawns, totally retextured it, fixed the visual error, made the map a little larger and redid the weapon and item placement and amounts. You can download Magnum Force from here. If you want to see Cujo's original dm_1v1biguns map you can download it here.